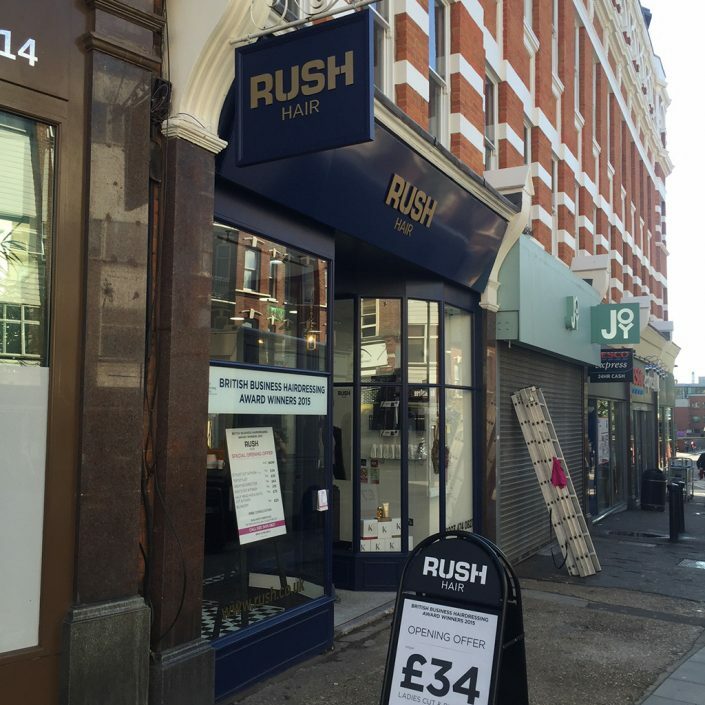 Rush Hair offer their clients cutting edge style and superior service. 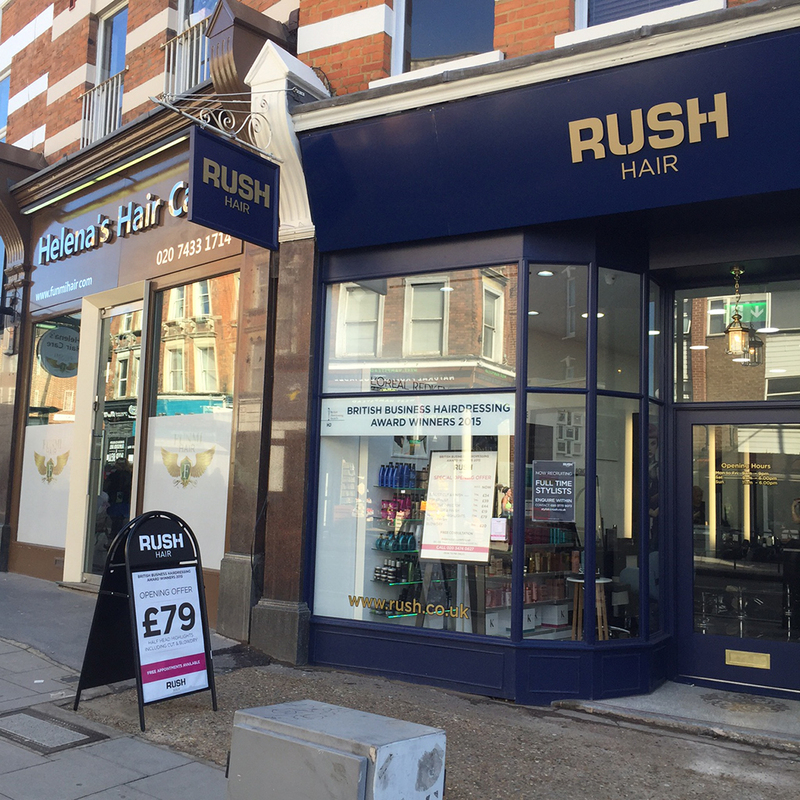 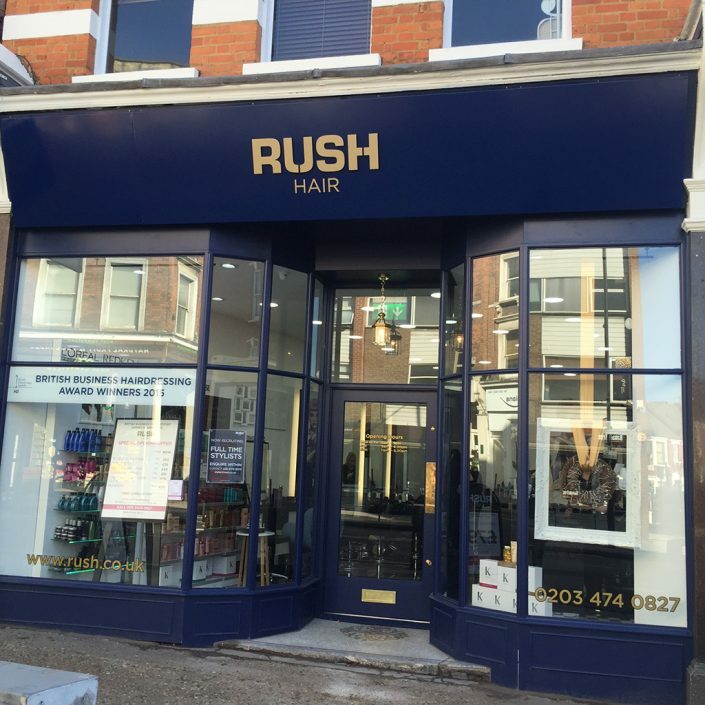 With a team of award-winning hair stylists and beauty experts available in salons across London, Essex and the South East of England, Rush Hair is at the forefront of British hairdressing. 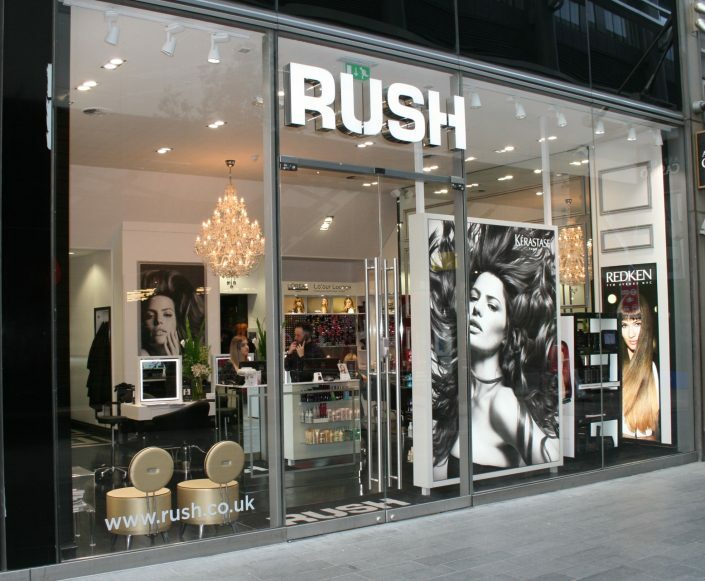 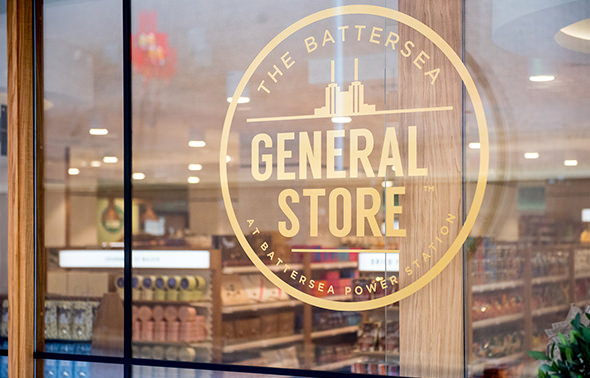 Location: Throughout the UK, including the stunning flagship store in Westfield Stratford City Shopping Centre, Stratford. Brief: We are proud to have worked with Rush Hair from the inception of the business. 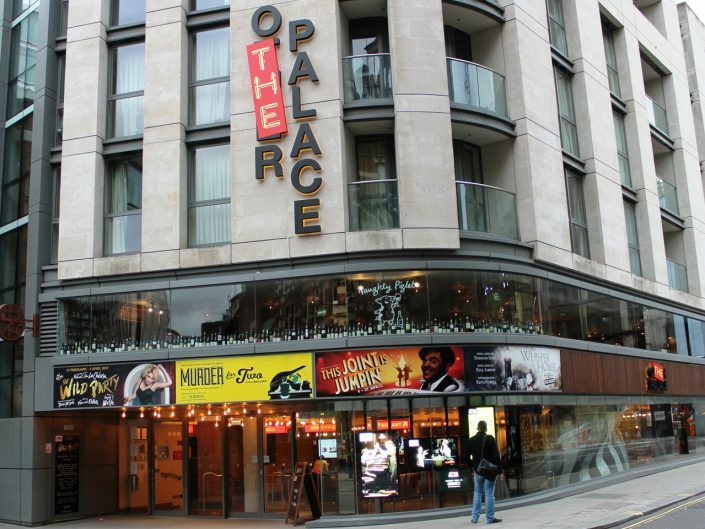 We provide them with a complete turn-key signage solution, covering surveys, design, manufacture and installation. 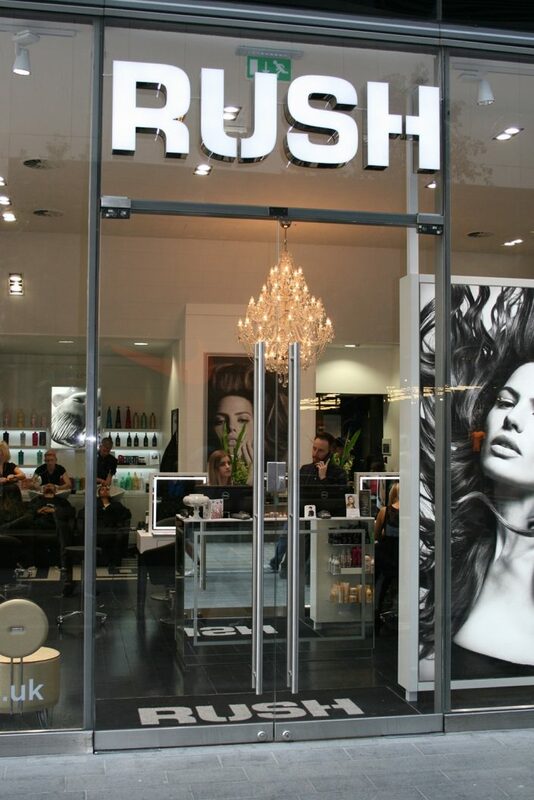 To date we have completed the salon signage work on 35 salons throughout the United Kingdom. 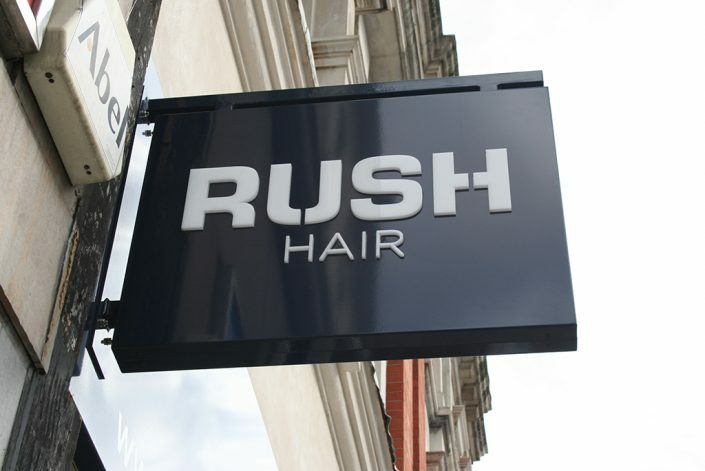 Technical: We have produced salon signage for Rush Hair salons throughout the south of England including for their flagship salon. 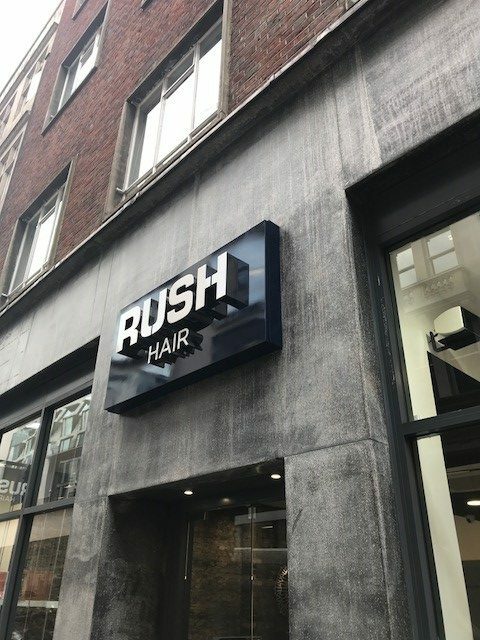 The signage included the following work. 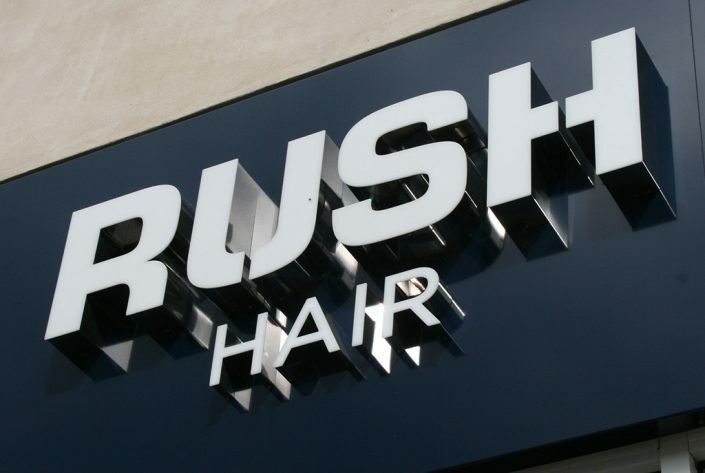 We create built-up highly polished stainless steel rimless letters with opal acrylic faces for the Rush salon front signange. 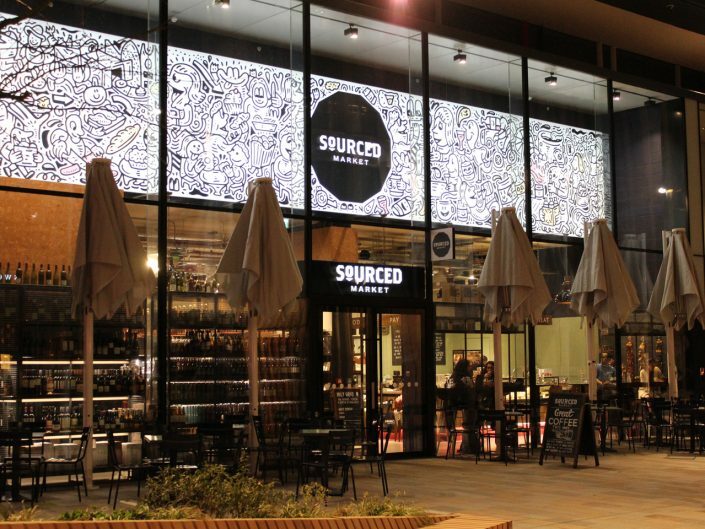 It’s illuminated with LEDs housed internally and mounted to a folded power coated aluminium panel. 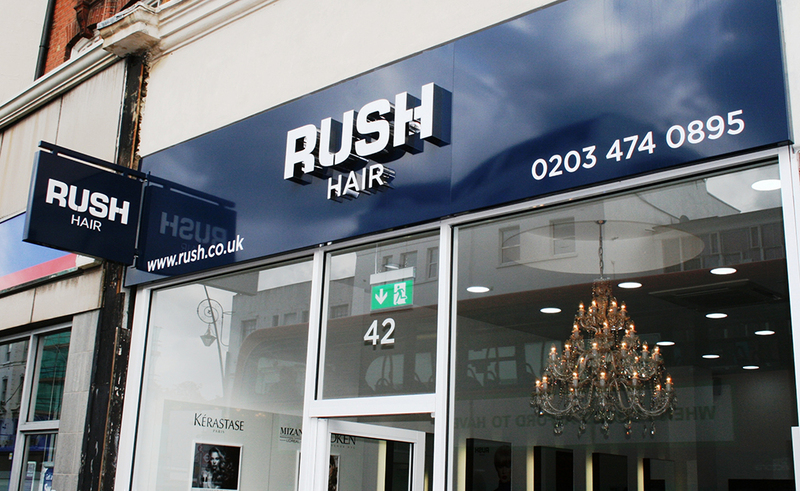 Built up highly polished stainless steel rimless letters with full back trays. 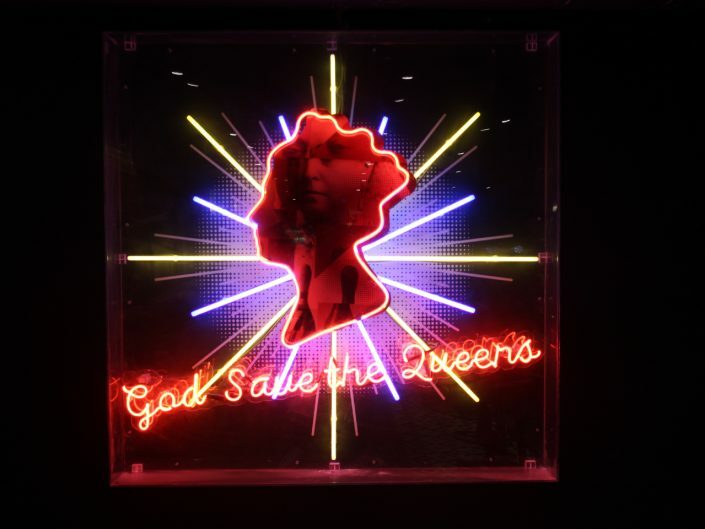 Opal acrylic faces with LEDs housed internally to provide illumination. 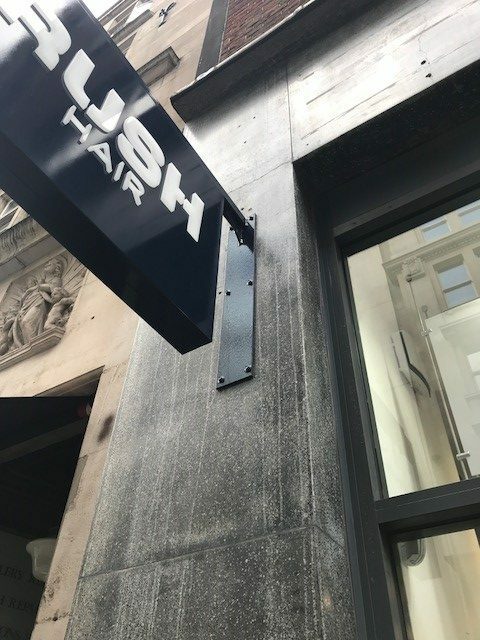 Mounted to glass and repeated internally.